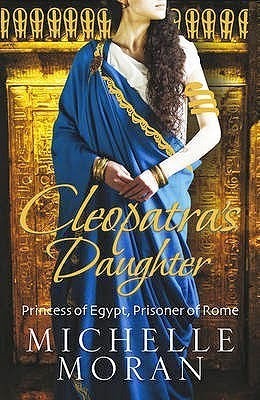 Continuing my Egyptian theme, Cleopatra's daughter seemed the next logical choice. This was an audio for me. I love audio books, usually have one on the go at all times. I can listen while taking my puppy for a long walk and get lost in the story. If its a really good book I tend to have a cleaner house too (looking for something to do while listening). I was warned before hand that this book had a YA feel to it, which to me is fine since I love YA books. Maybe if you didn't take that into account one could be disappointed, I wasn't. It was a refreshing read as this is a part of history that I am not familiar with. I think Michelle Moran did a good job of portraying Selene and her twin Alexander, what a confusing time it would have been for both of them. The story does center more with Selene as a 12 year old and later on when she is 15. It seemed to be historical accurate and keep my attention throughout.